Thank Yous: the PTA runs on the energy and dedication of volunteers, and we love and appreciate them! Thank you Jesse Souwine and Kelly McGee Imberman for hostong Burbank's popular movie night! The kids enjoyed watching Ferdinand and hanging out with friends! Thank you Belmont-Boston friends for organizing and attending bowling night in Boston on March 10. 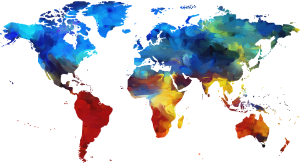 What a great way to expand our world and meet friends old and new! Note: Please note changes to your Geography Challenge team schedule below. Also, volunteers are wanted and welcome to help out at this fun event unique to Burbank! Please contact Irina Zhygalko (irina.zhygalko@gmail.com) or Heather Rubeski (hrubeski@gmail.com) with any questions. 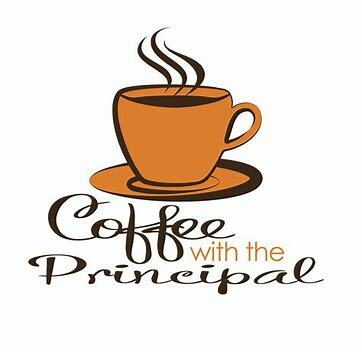 Please join us for an informal coffee and breakfast bites with Dr.Tricia Clifford on March 18 from 8:45-9:30 a.m. at the Burbank Conference Room (across from the school library). The format is open-ended and topics to be discussed include MCAS and any other topics attendees bring up. 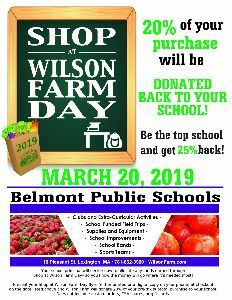 Shop at Wilson Farm on March 20th, and 20% of your purchase will be donated back to the school. Present your Shop at Wilson Farm Day flyer (either printed or the digital version on your phone) on March 20th, and Wilson Farm will donate 20% of the pre-tax total to Burbank. Monday, 3/18 @ 8:45 a.m.